Possibly one of the most popular biscuits in the United Kingdom, digestive biscuits are a semi-sweet variety of biscuits, made mainly from coarse whole-wheat flour. The biscuit is firm but soft and crumbly in texture. The biscuit draws its name from the main leavening agent used in manufacturing it – baking soda. In the past, sodium bicarbonate was used to ease with indigestion problems and so when the digestive biscuits were invented, they were deemed to have the same relieving property. Although this fact later on came to be refuted because after undergoing coking, the sodium carbonate was sure to lose its healing power. Nonetheless, the name still stuck and continues to be used even in the current times. The sodium carbonate used to manufacture the digestive biscuits may not be active in helping with digestion issues, but having been made from whole-wheat, the biscuits have some fair amount of fibre to aid in digestion. Priding in being a British invention, the digestive biscuit is said to have been invented by one Mr. Alexander Grant in 1892., making it it's 125th anniversary this year. The recipe has been kept a secret and hasn't changed much all this years. At the time, he was working for McVitie’s – one of the world’s largest producers on the digestive biscuit. 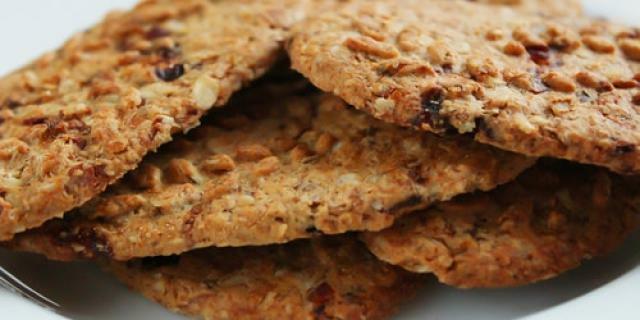 Generally, the digestive biscuit recipe is simple and there are not many variations that are made to the original recipe. Normally, in America, foods are manufactured using high-fructose sugar syrup; but seeing, as digestives are not manufactured in the USA, the biscuits are made using natural sugar. 1. Sift the flour, baking soda and salt together in a bowl. Bran, oatmeal and sugar are then added to the flour mix and combined well. 2. Rub the butter finely into the flour until the result is crumbly. Making a hollow in the middle, half the milk is added and mixed together, if still dry; add the remaining milk as required. 3. The dough is then turned out onto a greased surface and worked into a long ribbon. Wrap in cling film that seals the dough completely then refrigerate for about 4 hours. 5. Roll out the dough to a thickness of 1/3 inch (3mm) and cut out biscuits using a cutter. Place the cutouts on a baking sheet. 6. Bake for 12 minutes or until light brown in colour. Cool on a wire rack and package in an airtight tin. NB: the Digestive cookie dough can be chilled in the refrigerator for even up to 2 months, provided it is well wrapped in cling film. Whole grains are beneficial to our health, especially for the heart and cardiovascular system. And because of the high sodium level, digestive biscuits are suitable for low blood pressure sufferers and those that need relief from heartburn or abdominal pains. They also manage diabetes and help with weight control because they keep us full for a long period of time. The sodium in them also boosts your energy levels. As their name says, digestive biscuits help with constipation problems. Some pregnant women claim that this biscuits help them with morning sickness. Citing that digestive biscuits lack any digestive properties whatsoever, the tasty treat is banned from the USA. To purchase them in America, one has to look under the ‘International’ aisle sections in supermarkets. Local retailers stopped selling the biscuit variety. In 2009 and 2010, the popular original McVitie’s recipe underwent changes in two stages. They removed the use of palm oil and instead substituted it for sunflower oil with reduced saturated fat. However, upon complaints from the consumers, they restored their original recipe – the old classic recipe. A survey conducted in 2009 in the UK estimated that 25 million adults have been injured while eating during a tea or coffee break - with at least 500 landing themselves in hospital. Almost a third of adults said they had been splashed or scalded by hot drinks while dunking or trying to fish the remnants of a collapsed digestive. In 2012, Elliott Allen set a world record for breaking 18 digestive biscuits with one karate chop. 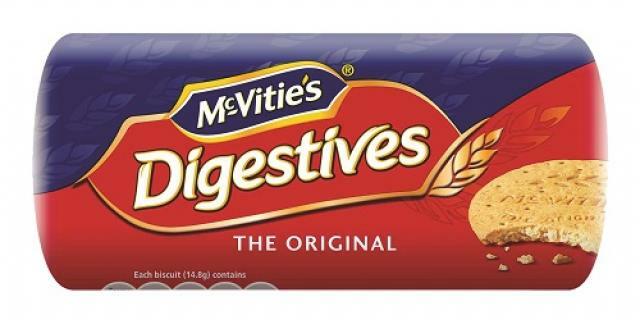 As far as the figures are concerned, the sale of digestive biscuits is said to estimate around 70 million packets sold annually; with half f these sales being registered in the United Kingdom. Broken down, this would mean that every second, 52 digestive biscuits are consumed and the number is said to be increasing every year.